Miraj Sharif is the night when Prophet Muhammad SAW ascended to the heavens and attained proximity to Allah which no other human being has ever gone before. It is the night when the fortunes of people are decided by Allah almighty, hence prayers are arranged to good fortune as well as asking Al-Rahman and Al-Raheem’s mercy for sins. Ramazan remains the holiest month for Muslims in which they fast for 29 or 30 days to gain favour and mercy of Allah. Based on lunar calendar and geographical location Ramazan is expected to begin on 16 May 2018. Laylat al-Qadr is one of the odd nights of last tens days of Ramzan, which is anniversary the night that the first verses of Quran were revealed to the prophet Muhammad SAW. 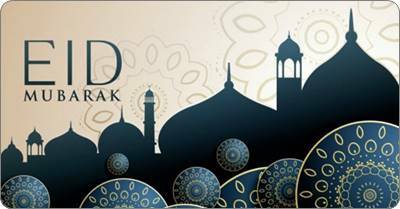 Eid after the holy Ramadan is probably the most special event for Muslims since after fasting for 30 days they look forward to a blessed Eid event. Eid al Adha is the Eid of the Sacrifice, that is commemorate the sacrifice of Hazrat Ibrahim A.S. as well as conclusion of Hajj. Islamic calendar started from the year in which prophet Muhammad migrated to Madinah from Makkah , hence the word Hijri is derived from the word Hijrat in Arabic. Celebrates birthday of the Prophet Muhammad SAW the mercy for all Worlds. The most beautiful day for all Aashiq-e-Rasool.